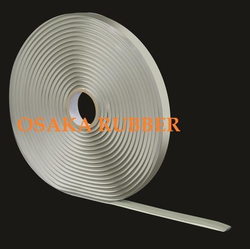 Osaka is leading Producers & Exporter of High Quality Butyl Rubber Sealant Tapes in India. Our Product ranges consists of Roofing Tape-RT45, Vacuum Bagging Tape, Mastic Tape and High Adhesive Tape- MP99. We are manufacturer of Butyl Sealant Strip Tape that are used for sealing application in metallic roofing, double glazing, etc. It is synthetic rubber strip sealant designed for double glazing, extruded mastic sealing strips in various industrial and construction applications. This tape is used to seal dust, water and air. It adheres to steel, aluminium, treated metals, wood, glass, zinc, epoxies and many king of plastics. Life of this tape post application can be more than ten years. We are manufacturer and supplier of Roof Flashing Tape. 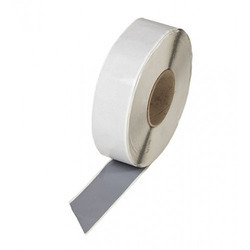 It is a self- adhesive tape made of a Butyl Rubber Compound, self Protected by a single sided release paper and other side reinforced aluminum foil. it is available in various sizes/ colors. Waterproofing, sealing and jointing materials such as glass, steel, polycarbonate, wood, Aluminium, pvc, industrial roofing, pipes, cable, refrigeration and many other domestic applications. Our range of Butyl flashing tapes are ideal for: joining membranes used in the building and construction industry to prevent the passage of water - and or air - for example for damp proof membranes and vapour control layers, HVAC – sealing leaking pipes and chambers, caravans – sealing leaking panels, building & construction – flashing and repairing gutters and downpipes, conservatories - flashing the roof and sealing T-bars. As well as this tour Butyl tapes are also ideal for: external metal sheeting – sealing end and side laps in steel and aluminium roofing systems, sealing roof lights, ridge and eaves sealing in combination with foam fillers, metal liner sheeting. 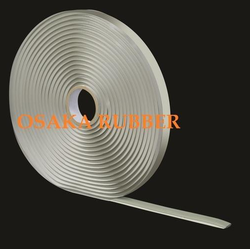 Osaka Rubber Pvt Ltd, are: Butyl Flashing & Sealing Tape Suppliers, based in Mumbai (Maharashtra) India. We have a large range of: Butyl Flashing & Sealing Tapes, in our warehouse, ready to be despatched - normally - within 4-5 days. So if you can not see the adhesive you are looking for please contact our friendly sales team. We are in manufacturing of Flashing Tape. Our products are used in sealing the cracks and joints. Flash Strip products are fabricated using butyl and bitumen rubber compound. We supply these products to meet the varied requirements of our customers. These are offered by us at competitive prices. Total impermeability for total waterproofing. Easy application, no requirement of special tools. Great flexibility, High tensile strength, and Tear resistance. Excellent adherence to any substrate. 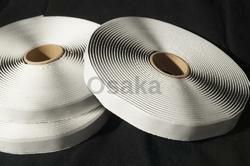 We are offering Butyl Tape. This tape is use for insulation in Cable Jointing Kits to prevent it from Corrosion to metal materials; it has got outstanding Thermal insulation property and excellent resistance to water, moisture, base climate and temperature. Excellent Insulating, Sealing, Anti- Ageing. Roofing Tape is a self- adhesive tape made of a Butyl Rubber Compound, self Protected by a Double sided release paper, available in various sizes/ colors. It is highly adhesive to all materials and especially to plastic, glass, steel, polycarbonate, wood, asbestos, fiberglass, textiles and concrete as well. Packaging Details: In a corrugated carton Box. We are manufacturer and supplier of Butyl Sealant Tape that are wide used injoining membranes in the building and construction industry to prevent the passage of water and air. As well as this tour Butyl Sealant tapes are also ideal for external metal sheeting. Sealing end and side laps in steel and aluminium roofing systems, sealing roof lights, ridge and eaves sealing in combination with foam fillers, metal liner sheeting. 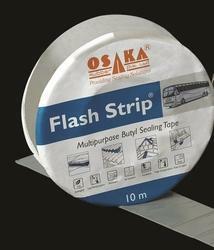 Osaka Rubber Pvt Ltd, are Butyl Flashing & Sealing Tape Suppliers, based in Mumbai (Maharashtra) India. We have a large range of: Butyl Flashing & Sealing Tapes, in our warehouse, ready to be despatched - normally - within 4-5 days. 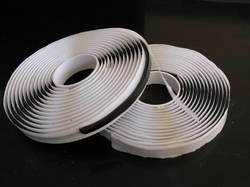 We are the manufacturer of Sealant Tape andIts an self adhesive and is made from butyl compound. Its butyl-rubber based, two-sided, self-adhesive sealant tape with good elastic properties. Adhesiveness Butyl rubber has excellent adhesion to most of the material such as all of Composite material, FRP, metal, wood, glass, non-ferrous, concrete, etc. Corrosive property Excellent anticorrosive property. lt protects surface from corroding from atmospheric moisture. UV Protection Excellent resistance against UV rays.One side laminated is helping to protect its characteristic when exposed to direct sunlight. Application temperature 0 °C to 35 °C.